IBM serial number and logo. We do not sell 3rd party IBM memory. Increasing memory in your IBM system is a very cost-effective way to help boost performance allow you to open more applications at once and save time and hassle. 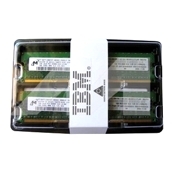 Since IBM is responsible for the design testing manufacturing and quality of IBM memory compatibility with your IBM computer is backed by IBM Service and Support.